Without sending one of our specialists out to assess the job site, it is impossible to accurately estimate how much of an investment you will be making into the beauty of your yard.. There are many factors that go in to calculating how much a job costs, not just the size and shape of the tree. Appointments typically take about 15 minutes, but of course we will stay as long as you need us. We can send out a representative to look at your situation. If we can't provide you with an answer, we will point you in the right direction. I only have one tree. Is that too small of a job for you? No job is too small or too large. We take on everything from single tree removals to land clearing jobs. When is the best time to get my tree work done? We do tree removal year round. Winter typically offers less potential for incidental lawn damage due to frozen ground conditions. YES! We love this question! This should be your first question. We are fully insured, including workman's comp. We provide our insurance agency's information with estimate. This is done so you can ask our agent any questions you may have or request a certificate of insurance. By speaking directly to the insurance company, you know the information is accurate and up to date. Yes we do. We understand that most of our customers are very busy. Our operators are standing by to help find a time slot that works within your schedule and ours. Yes. We understand that you are very busy. However, it is important for us to meet with you so we can answer all of your questions. We also need to make sure that we have a clear understanding of your expectations and have found that that cannot be done over the telephone or by leaving notes. 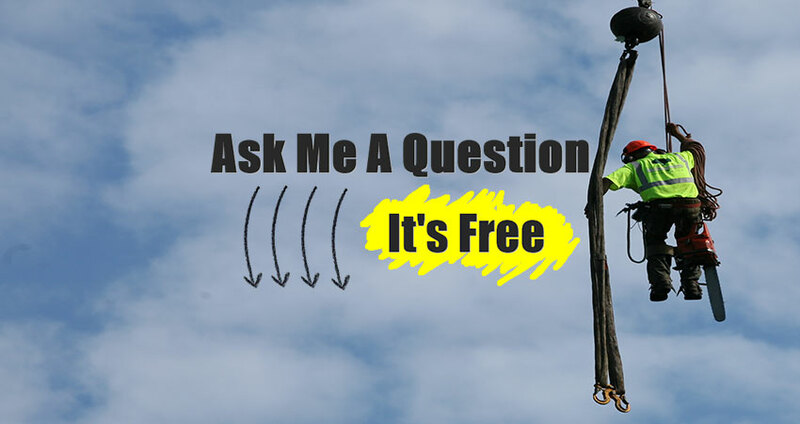 Also, we will have questions for you about your property that need to be answered while standing in your yard. The appointment only takes about 15 minutes, but of course we will stay as long as you need us and leave you with an estimate in writing. Do you do free trees? Free tree removal is not free. Please contact us for pictures if you would like to see what the end result of "free" tree removal looks like. I want to move forward with the estimate, what do I do now? First, call the office so they can hold your place in line. Next, sign and date the estimate sheet that was provided at the time of the estimate. Mail back the white copy to our billing office: 21 Bedford Street Nashua, NH 03063. This will get you into our production system. If there are multiple price options on your scope of work, please specify the options you want to move forward with. Please, do not send money at this time. Most of our customers prefer to pay by check. We also except most major credit cards, but please check with our office to see which ones. We will inform you when confirming your job date when payment is expected. Typically, we collect payment when the job is complete, before we leave the job site. Do I pay up front or need a deposit? NO. Payment is collected after the work is complete. We take pride in minimizing lawn damage. With the use of our company owned, 90 ton, 202 foot crane, we can sometimes park in the street and "pluck" trees out of your yard. If you are extremely concerned about lawn damage, ask our representative about waiting till winter to do the work. Winter is generally a great time of year to do tree work as the ground has a tendency to harden up with the lower temperatures. Please understand that our trucks are heavy and we cannot always guarantee that no damage will be done to the yard.